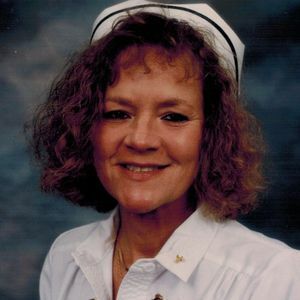 Sheila J. Gallentine, 60 of Sterling died Sunday January 6, 2013 at her home. She was born on May 24, 1952 in Morrison, the daughter of Clarence W. and June E. (Snyder) Deets. She had been employed as an LPN prior to her illness. Surviving is her daughter Lyndsey; her step daughters: Gretchen (Paul) Rahn of Sterling and Jamie (Gary) Wagenknecht of Milledgeville; three step sons: Brian Gallentine of Chicago, Brad (Tearra) Gallentine of Milledgeville and Greg (Chris) Gallentine of Sterling; her brother, Robert (Marilyn) Deets of Sterling; her sisters: Sue (Dave) Gammon of McFarland, WI, Sally (Gail) Schreiner of Rock Falls and Sheri Roberts of Rock Falls; and special friend Larry Oviatt of Sterling; 13 step grandchildren and 1 step great grandchild. She was preceded in death by her parents; and two brothers: Gail Deets and Donald Deets.